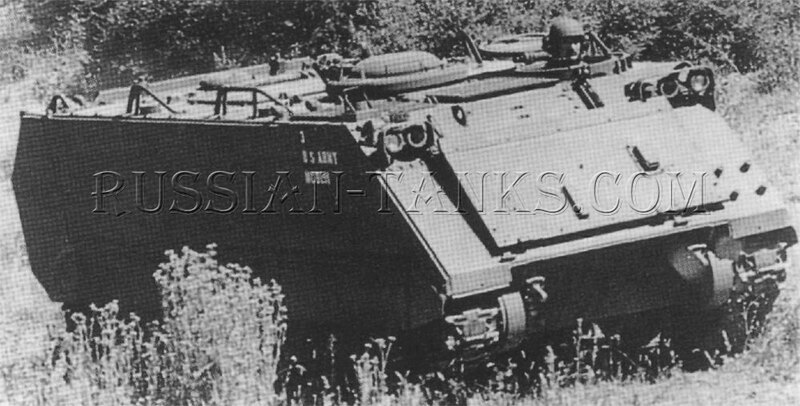 Although the M113A1 (M113) was extremely reliable, work continued to improve both the reliability and the performance. Four major areas were under consideration. These were the engine cooling system, the suspension, the fuel system, and the power train. 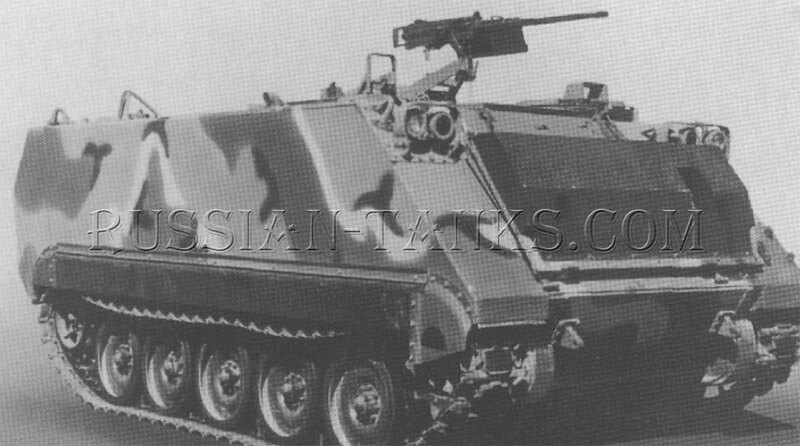 Five prototype vehicles incorporating improvements in all four areas were constructed and designated as the armored personnel carrier M113A1E1. The engine cooling system was modified by reversing the location of the fan and the radiator. The installation included a new fan and a radiator with increased capacity and a separate expansion tank. The new arrangement drew fresh ambient air through the radiator before it was warmed by passing over the engine and increased the cooling efficiency for both the engine and transmission. The new location also reduced the buildup of dust and oil on the radiator core and provided an approximate ten degree Fahrenheit reduction in the coolant temperature during normal operating conditions. A new suspension system was introduced with high strength torsion bars which increased the road wheel travel from six to nine inches. A stronger rear idler assembly was installed and raised two inches to reduce the chance of ground impact. The overall ground clearance also was increased from 16 to 17 inches. 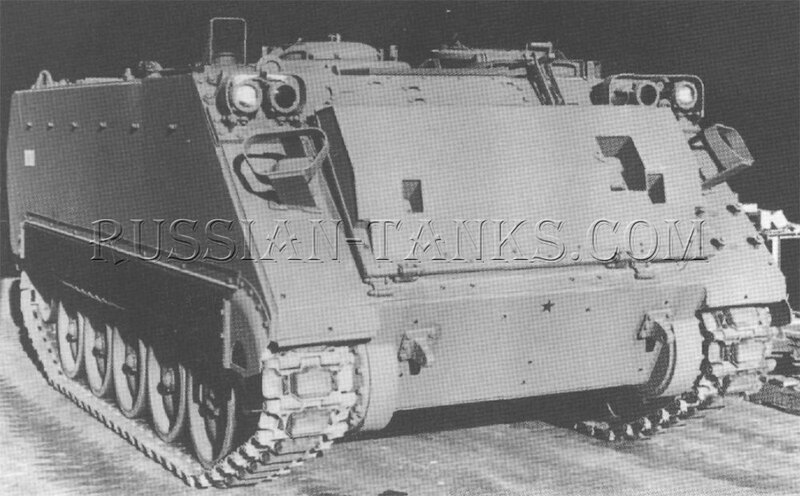 New shock absorbers were located on road wheels one, two, and five compared to the old shock absorbers on road wheels one and five on the M113A1. These changes greatly improved the cross-country performance resulting in a three to ten mile per hour increase in speed depending upon the terrain. 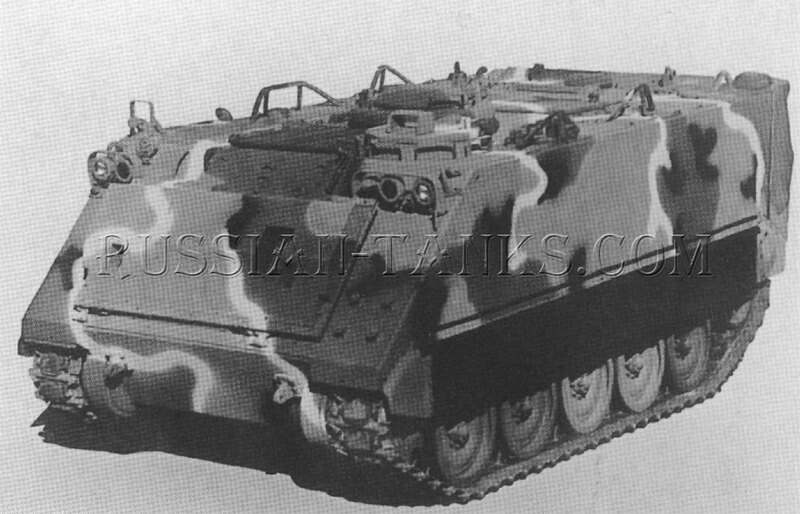 External fuel tanks similar to those developed for the reduced vulnerability kit replaced the internal fuel tank in the M113A1E1. These two tanks had the same 95 gallon total capacity as the internal tank and they were armored for equivalent ballistic protection. 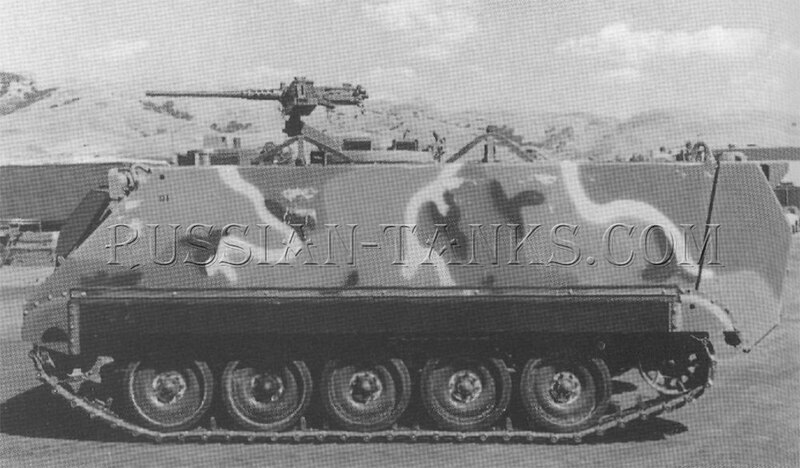 The new tanks were installed on the rear of the vehicle with one on each side of the ramp opening. In addition to improved safety, the use of the external tanks increased the space inside the vehicle by 16 cubic feet. The tanks were interchangeable and were bolted in place to permit rapid replacement in the field. The installation of the external fuel tanks increased the weight of the M113A1E1 by about 900 pounds and the length by 17 inches. The power train in the M113A1 was replaced in the M113A1E1 by the turbocharged 6V53T diesel engine with the Allison X200-3 cross drive transmission. The new engine developed 275 gross horsepower at 2,800 rpm and had an improved cooling system. The cross drive transmission had four forward speeds compared to three in the Allison TX-100. It also included hydrostatic steering, eliminating the need for the controlled differential in the earlier vehicle. The steering brake levers in the M113A1 were replaced by a steering wheel and a brake pedal. The vehicle now had neutral steer capability allowing it to pivot in its own length. The five prototype vehicles with the new components, completed development tests in October 1978 followed by operational tests ending in May 1979 (U.S. Army). Although further development was required for the new power train, the revised engine cooling system, improved suspension, and optional external fuel tanks were introduced into production during the latter half of 1979. 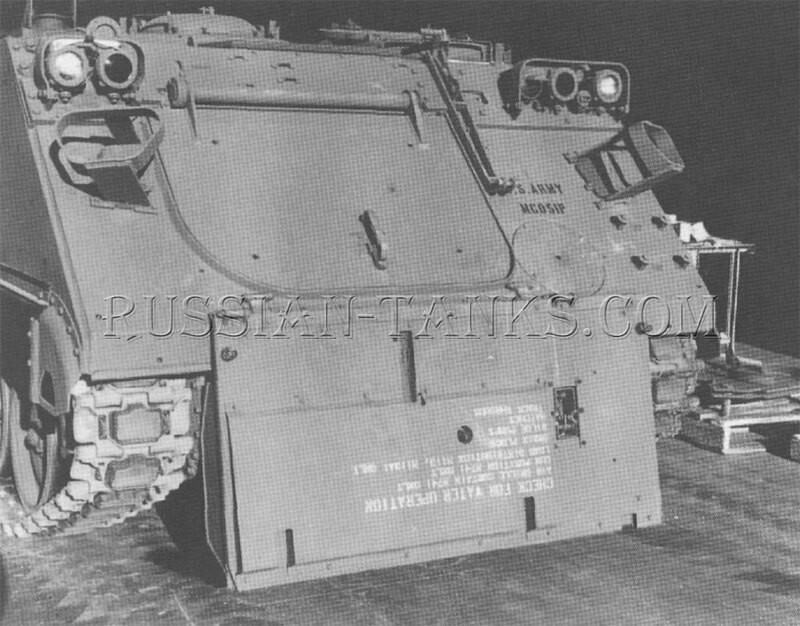 With these improvements, the vehicle was now designated as the full tracked armored personnel carrier M113A2. A smoke grenade launcher kit was provided for the M113A2. This kit consisted of two, four tube, smoke grenade launchers. One launcher was installed on each side of the front hull below the headlights. The control box for the launchers was mounted on the fire wall in the troop compartment. Without the external fuel tanks, the combat weight of the M113A2 (M113A3) had now increased to about 12 1/2 tons. This, of course, reduced the freeboard of the vehicle when it was afloat. As a result, the Training and Doctrine Command (TRADOC) dropped the swimming requirement for these personnel carriers and banned swimming the vehicle during training operations. The marginal swimming capability was retained for emergency use during wartime. Such use required extreme care and attention to weight distribution when in the water. Inflatable flotation cells also were evaluated for use with these vehicles.